Munich Talk Resumée: Absolut hörenswert!!! The Kris Lager Band has been zigzagging the country and spreading their brand of feel-good funk and heavy soul for more than 15 years. A genuine musical journeyman, Lager is that rare, dynamic performer who delivers a combination of musical skill and charisma. He creates a fun and interactive show laced with road-tested songs and contagious grooves that inspire fans to dance, clap and sing along. The group’s self-produced „Love Songs & Life Lines“ is an emotional statement from an artist better known for jamming, looking at the bright side, and promoting a „celebrate life“ mantra. Lager tackles challenges such as touring while being married with children, and dealing with the death of his father, turning his emotions into memorable musical statements. 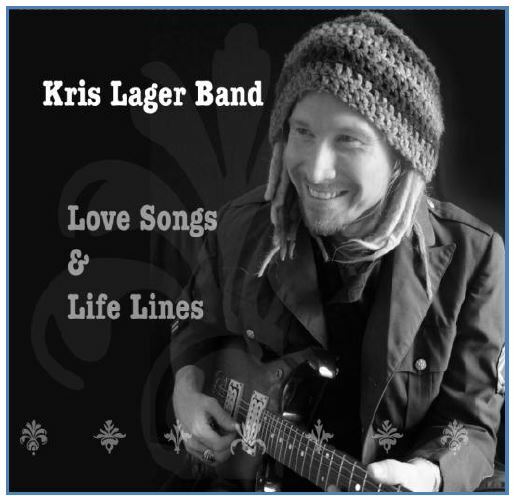 „Love Songs & Life Lines“ also taps into Lager’s Americana side as he channels his love for people and music and explores topics such as purpose and mortality. 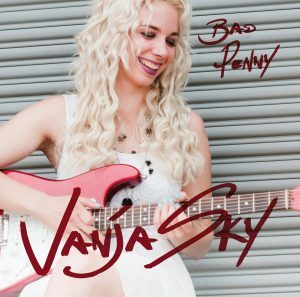 The album was mixed by legendary producer Jim Gaines, known for his work with Stevie Ray Vaughan, Santana, Steve Miller, Van Morrison and others. The Kris Lager Band is a well-oiled groove machine led by funky drummer Scooby Sha Bo Bo (John Fairchild), who has given Lager one of the funkiest backbeats in the business for more than a decade. The group’s youngest member is sax player Lefever, who is emerging as one of the finest young horn players on the scene. Holding it all down is veteran bassist Aaron Underwood, a Wichita, Kansas, native who has toured the country with various outfits since he was a teen.